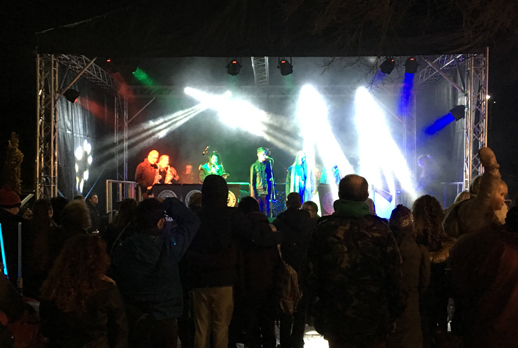 As the Christmas season gets underway West Coast Hire and Events turned to The Prolight Concepts Group to ‘Light up Leigh’ for their Christmas light switch-on. 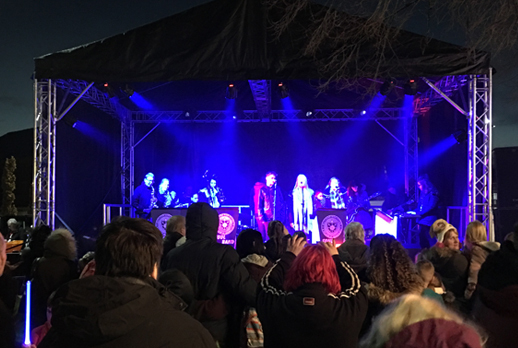 The event, which took place in Civic Square, Leigh, saw local music talent take to the stage before the switch-on followed by a spectacular fireworks display. 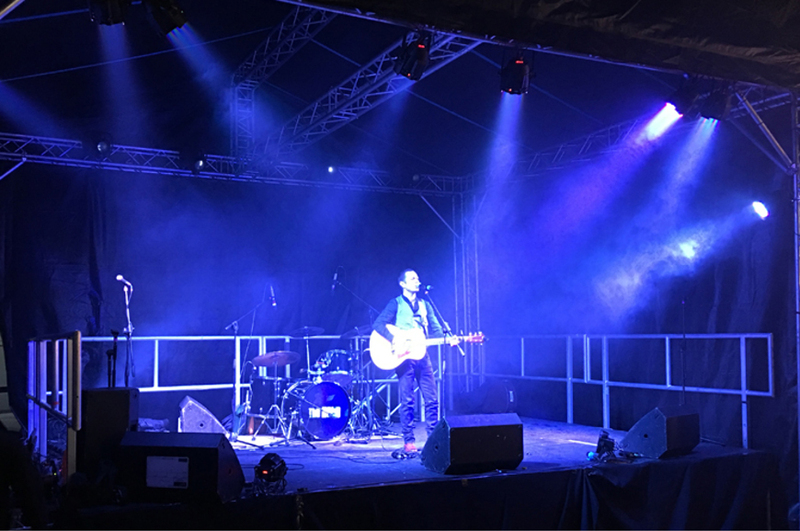 Acts performing included; The Westleigh High School Band, renowned country music vocalist Gary Quinn, the Birchall Duo, local band The Hats and a Christmas panto spot by the Turnpike Players. 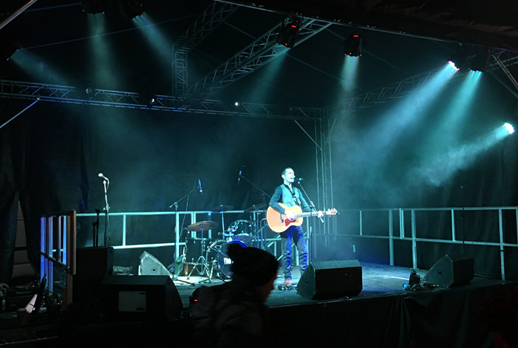 Fixtures from our LEDJ and eLumen8 ranges were used including 8 x LEDJ Performer 36 RGB Pars rigged to the stage, along with 4 x LEDJ HEX Par 7 fixtures used as foot lighting and 4 x eLumen8 5RE Beams all controlled from a Chamsys Maxi Wing Desk.